Mom-talk is everywhere. Everywhere. Part of why is it everywhere right now is because Mother’s Day is now mere hours away. That aside, it seems that maternal words saturate, at least my corners of the world. Many of my friends have children or are talking about kids. The May 21 cover of Time Magazine sported a woman breastfeeding her standing toddler, with the headline “Are you MOM Enough?” (See the image, and others, here.) The cover image and its headline are intentionally provocative. Clearly this kind of thing, the editors hope, draws in readers. Beyond that, though, it seems provocative on a thoroughly destructive level. As Rachel Held Evans tweeted, “The image and the headline seem designed to pit women against one another.” And it’s true. This pitting woman against woman is nothing new: should moms work or stay at home? When is the right time to have children? How do good mothers put their children to sleep? What if a married women doesn’t want children? I’m not a mother, and I am still saturated in these dilemmas. These false dilemmas. My darling Mother. At my age. outside the home, preschool, food and drink choices, etc. To be fair, I am 30, and it is, as they say, the nature of the beast. Most women by the age of thirty are mothers or focusing on trying to become one. I am not. I am not married. Lack of committed partner, for me, determines, at this stage in my life, the reality of being a mother, or not, as the case is. A lovely little blog on Jezebel this week articulated this no-kids reality for many women in their thirties – both married and not. It’s not that we don’t want kids; it’s more that it hasn’t happened yet, mostly due to external factors (not (yet) being married in my case). I do not have children, not likely to get knocked up anytime soon, and yet I have strongly formed opinions about what kind of mother I think I would be, hope I would be. Motherhood has, in fact, saturated my world. And I do, with varying degrees of frequency, feel inadequate as a woman because I lack, not only the pictures of my fairytale wedding adorning my house, but the sweetly dressed toddler nestled in my arms. Somewhat as an aside, it makes me wonder if my students, college freshmen, feel this way about dating. At a Christian university it overwhelmingly saturates their culture, and without any relationship on the horizon, do they feel they must already know exactly what they want in a partner, in a relationship, and exactly how they would behave in said relationship? Do they judge every one else’s relationship out of superiority and/or jealousy? Do they feel like their culture is telling them there is something wrong with them because they don’t have what they are supposed to have by now? I’m sure they do. I did when I was a student at a Christian college. I do now. The game hasn’t changed; it’s just received an expansion pack. All this was not intended to be a poor-me, culture-is-screwed post. God knows there’ve been enough of those recently. It was supposed to be about my mom. In observing and reading how everyone else is doing it, I think about how my mother raised me. (Yes, my dad had something to do with it, but Father’s Day isn’t until June.) It seems many people (especially these Attachment Parents) parent the way they do out of some kind of (perhaps subconscious) rebellion from the ways they were raised: “I will make my life all about sacrifice for my child, because my parents were too busy to worry about me.” The more I reflect the more I hope I am able to be the kind of parent I had. The reflection and thinking that comes with this stage of life leaves me particularly grateful this Mother’s Day. And not in the sappy Hallmark way. One of the most specific ways she did this was by making me do certain things and limiting me in other things. Church was never optional. The activities to which I committed were not optional: if I signed up for dance classes, I would show up for dance class, and remain committed until the year was over. This was not cruel or her way of vicariously living out her dream of taking ballet. Rather, from this I learned the valuable lesson of commitment and follow-through – even when things are not as exciting as I expected. She made me go to church. Church is often the least desirable activity on the weekend for kids and teenagers, especially when I could have been sleeping or working (and thereby making money). By not giving me an option she taught me the importance of making our spiritual communities a priority, and the importance of simply showing up consistently, not just when our schedules are clear or when we feel like it. She also set limits for me. In the sixth grade I tried out for the Quick Recall team. I scored highly and made the team. My parents told me I couldn’t join the team, though; I had too many other commitments and needed to choose. I could join the Quick Recall team if I was willing to let go of one of my other activities. (Clearly church wasn’t one of the ones up for sacrifice!) Ultimately I made the decision, but couldn’t do everything. She taught me the importance of saying no and of prioritizing.My mom is not a typical mom; at least not typical in the way the ridiculous Mother’s Day media presents. My mom is reserved, not terrible gregarious, and not self-sacrificial in the ways popular media says is best for children. That is not to say that she is not caring in her own way. It is not to say that she did not give things up so that my sister and I could have and do the things we most wanted to do. What is true though is that she did not give up her own identity for the sake of her children. She is a teacher-turned-principal and strategic in her pregnancies, she had both of us at the very beginning of her summer break. This way she could have three months at home with both of us instead of the stingier six weeks. She spent her summers at home with us, making sure to do fun things with us, but not over-stimulating us to entertained numbness. I always knew who my mother was, beyond being my mother. 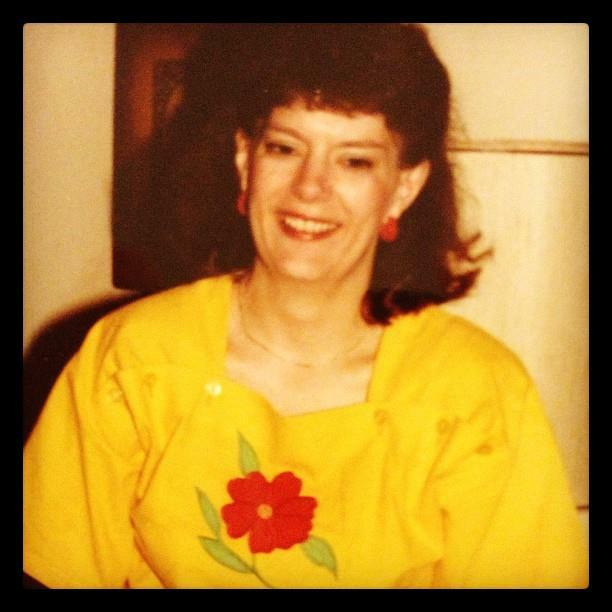 She played organ at church; sang alto in the choir; taught elementary school (and I knew how much her students loved her). By maintaining her own identity and her own life outside of my sister and me she taught me to be my own person and not depend on her for my identity. (I suppose from here I should only speak for myself. While I assume mom raised my sister similarly, I cannot assume anything about her experience.) She let me know that her life did not revolve around entertaining me or giving me anything and everything I asked for. There are many other ways that my reflection on motherhood has realized in me a level of gratitude but this is already too long, and perhaps elaboration would be best kept directly to her. Suffice it to say, I’m especially grateful that I was not the center of my mother’s world. I am also glad she mothered her way and no one else’s. Lisa, you are spot-on. First of all, I hope you didn’t hear my talking about my mom’s “perfectly” planned pregnancies as dismissing those whose “plans” don’t work out. Honestly, for all I know she just got lucky. There are six years between me and my sister. I’ve never asked (or been told) what kind of other best-laid-plans or heartache lay between those two births. Or even before me. Or after my sisters. That description was really more in the vein of talking about my mother’s nature. I am keenly aware of how painful what seems ought to be “simple” and “natural” rarely is. I definitely agree that children seem to be the new accessory; and having the right accessory for your accessory is a must. I’ll keep working on the culture-is-screwed post. It’ll be a series, I’m sure.